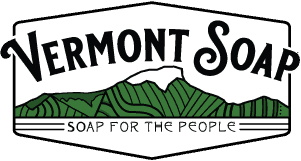 Vermont Soap is a major importer of bulk organic unrefined shea butter into the USA. USDA Certified Organic sealed product. This is very rare as a non-refined product. We are also Food Grade for EU. To meet those standards we have to Pasteurize, Homogenize and Superfilter which removes allergen causing Latex from the shea butter. People buying our bulk shea butter can rest easier knowing that people will not be getting allergic reactions to their shea butter containing products. We can package your private label raw shea butter in a variety of sizes. Please see our Private Label FAQ page for more information or contact one of our private label specialists.